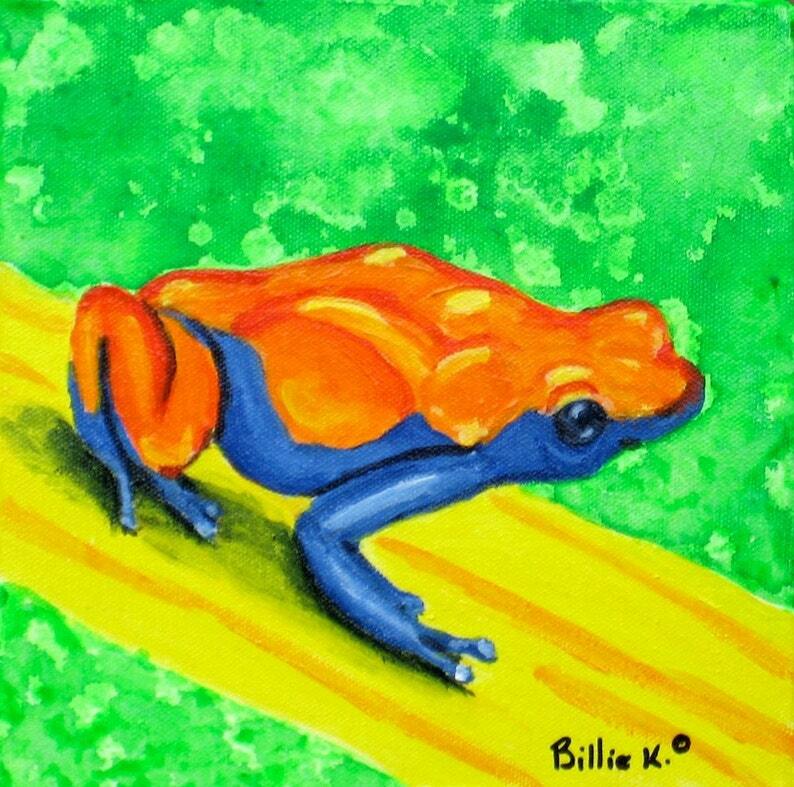 This vibrant, green, yellow, blue and orange painting of a dart frog would be the perfect artwork for your child's room, nursery, or any space that has a rain forest or jungle theme decor. Great for a children's room. Or any space that could use a bright spot of color.